Sometimes, I think of fables like ‘The Tortoise and the Hare’ or ‘The Grasshopper and the Ant’ when I think of our ENF donors. From them, as a member of the ENF Development department, I learn similar lessons of steady commitment, hard work, charity and cooperation. The Elks National Foundation persists no matter what—that’s something I appreciate. But more so, I appreciate my position to witness charitable, generous Elks supporting the Foundation year after year. Saying thank you to these donors is one of my favorite parts! In 2007, the ENF Loyalty Club began. Because donors give in different ways, we recognize donors in different ways. The ENF Loyalty Club exists as one of those ways. The members of the ENF Loyalty Club teach us the most valuable lesson about winning. They have made a donation to the Foundation each and every fiscal year for the past 10 or more years. A decade and more of consecutive giving? Now that’s something special to recognize! We applaud their commitment and consistency. Unlike the goal for the tortoise and the hare, there isn’t a finish line at the end. Our most loyal donors know that the ENF endures and the charity doesn’t stop. Erin shows off the new Loyalty Club pin. Since its start, ENF Loyalty Club benefits included an exclusive sticker for one’s membership card and donors’ names listed on the online honor roll. Oh, and bragging rights, of course. Those benefits remain, but in 2011, the ENF is introducing a brand new ENF Loyalty Club member pin! And a fitting new logo for the club. We anticipate more than 5,000 Loyalty Club members this year; it keeps growing. I can’t wait to generate the list after we close this fiscal year! Then in May, I’ll put a record 5,000 or more pins and membership-card stickers in the mail! 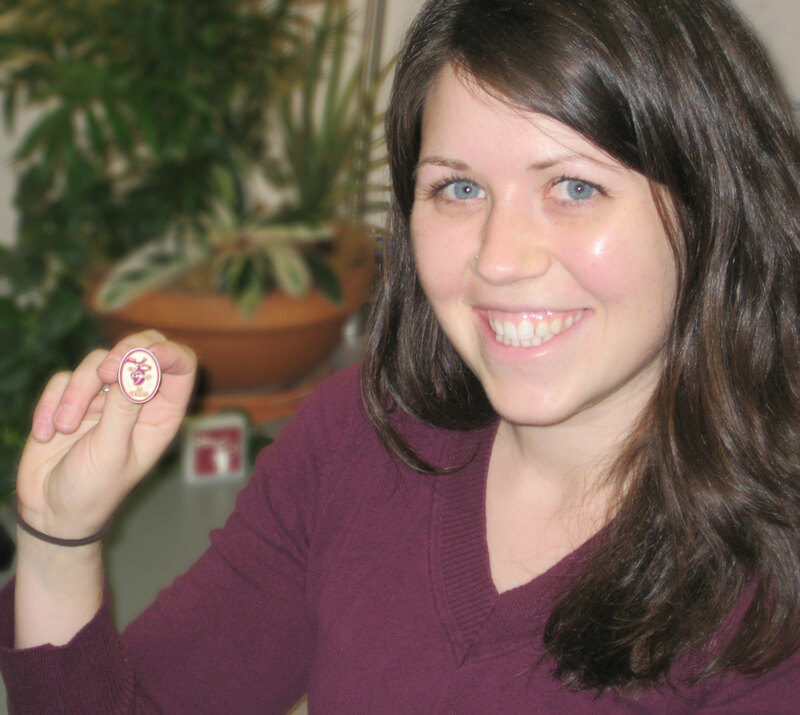 So, look around your Lodge this summer and spot a dedicated decade-donor sporting a new pin. View the ENF Loyalty Club Honor Roll to see a list of exactly who from your Lodge or state is included. Our hope is, no matter what you gave the first time, you’ll give it again or more. It’s the accumulation of each and every gift since the founding of the ENF in 1928 that makes the record $21.7 million in grants and appropriations for 2011-12 possible. Wow! Stay loyal, you donors, and inspire your peers with the lessons of your loyal support. Like these famous fables, you and the work of the ENF will stand the test of time. Thank you! Is there an online list of the pins in correlation to rank and giving history? I would like to see what is what. So long, farewell, auf Wiedersehen, adieu!